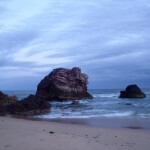 A multi day hike in a SE Qld summer held little appeal, I needed somewhere with a cooler climate. So when an invite came to attend a mates 40th birthday in St Kilda, the idea to extend the trip and include a visit to the Victorian Alps high country was born. I made contact with an old friend (Andrew) – a Melbourne resident – whom I had met many years ago in Laos and had not seen since my last visit to Melbourne for the 2006 Commonwealth Games. I outlined to him my desire to see the Victorian Alps for the first time and my hike plan/schedule hoping to entice him along, he needed little encouragement. In the week prior to leaving I made a list of what I would need to pack, but on Andrew’s suggestion, I checked the weather forecast at Mt Hotham and was a little shocked to see the words ‘chance of snow’. I naively was assuming that it would be warm enough that I would not need much in the way of cold weather gear – further additions were made to the list. 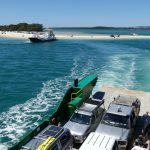 Andrew arrived at the airport in his trusty (we hoped) 1973 Datsun ute that would be our transport for the five-hour trip – including a couple of stops to top up the radiator – to Harrietville in the valley below Mt Feathertop. At the caravan park we had a beautiful campsite immediately adjacent to a small fast flowing stream. Not long after setting up the tent I was able to observe a fly fisherman plying his skills against the local trout, a genre of fishing I had never before witnessed. 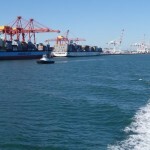 We leave the vehicle in the care of the caravan park and walk through town to the start of the trail. Although some 10 klm’s long and a 1200 mtr gain in altitude, the Bungalow Spur Trail is the ‘easy’ route to reach Mt Feathertop and surrounding high country. The gradient is better than I anticipated, but Andrew is setting a cracking pace and with a heavy pack I soon feel the sting in the legs. A little over halfway up the trail it becomes apparent there has been some fire damage in this section of the Victorian Alps. A significant number of the trees are seemingly lifeless, all that remains are bare white trunks devoid of foliage, their numbers reducing with each passing storm. However in the true spirit of mother nature, the regrowth of the eucalyptus forest lost has begun in earnest. After three exhausting hours we reach the site of the ‘old’ federation hut lost to a fire decades earlier. From here is the final 1.5 klm – on a steeper gradient – to Federation Hut. The modern looking Federation Hut sits atop a saddle – today it’s particularly windswept one – below the peak of Mt Feathertop and the northern end of The Razorback Trail. I join Andrew in the hut escaping the cold fierce wind outside and collapse in exhaustion on the bench. He is looking remarkably fresh which is a concern, and so after a too short rest we drop packs at the nearby trail junction below Mt Feathertop and head for the windy summit. Unfortunately I abandon the climb halfway up with a cramping leg and retreat to the packs for an early lunch. As if to offset my disappointment at not summitting, I have my first encounter with an echnida in the wild. Heading towards me on the path, it quickly dives into the scrub upon my detection and rolls into its renowned defensive position. With eight hours of daylight remaining we opt to push on to Blairs Hut some eight kilometres away on the West Kiewa River. We set off along The Razorback trail a short distance before turning east onto the Diamantina Spur, and a merciless 700 metre descent to the valley floor. Unlike the Bungalow Spur it was neither gentle nor constant, seemingly every 100 metres down was followed with 50 metres up. With my knees in agony and legs now jelly, we reach the final section marked ‘steep’ on the map. They weren’t kidding. Finally we reach the bottom where an old logging road runs adjacent to the river and I stare back up at the spur – cursing its mere existence – as I lie prostrated on the grass. 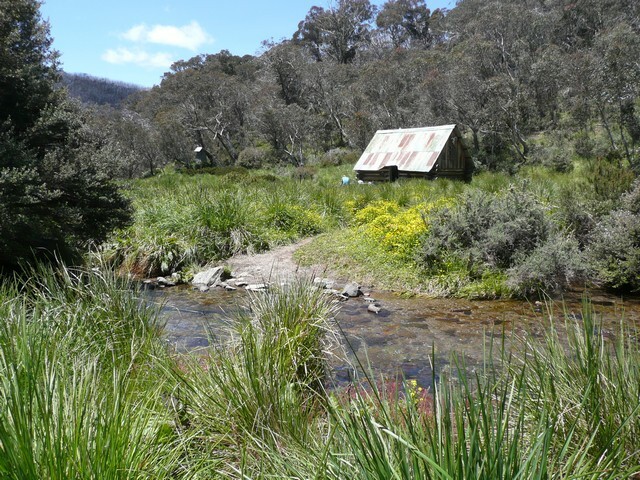 Thankfully the final two kilometres to Blairs Hut is a flat easy walk alongside the river. Blairs Hut dates back to the early 1930’s and with dirt floor, fireplace, and bunk beds it would be a welcome respite from the elements, but Vic Parks asks that sleeping inside the hut only be done in an emergency. The hut location is well-chosen as we set up adjacent to it, the crystal clear flowing river only metres away, with protection from the wind down on the valley floor and an open fire to keep warm from the cold night. Unfortunately my knees have not recovered from the previous days excursion and I reluctantly abandon the plan to climb out of the valley to the Bogong High Plains and a return back down to the river at Dibbins Hut. Instead I follow the river upstream where I will rendezous with Andrew at Dibbins Hut for lunch upon his return from the Bogong Plains. Dibbins Hut – rebuilt in 1987 – is not unlike Blairs Hut with a tranquil location nestled deep in the valley alongside the river; an ideal location to relax and recuperate. 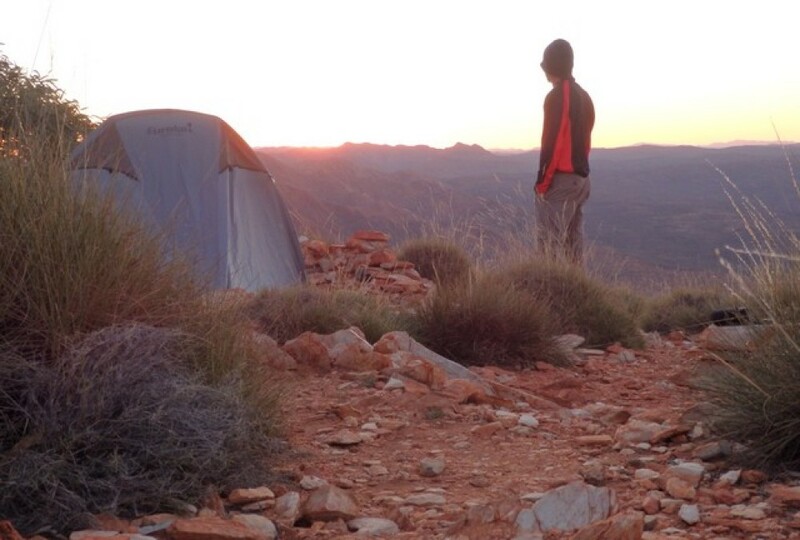 The opportunity to rest is recommended, as the trail immediately behind the hut – known as Swindlers Spur – begins at an exhausting angle and continues unabated for close to an hour. We have a much needed rest at the top to catch the breath. 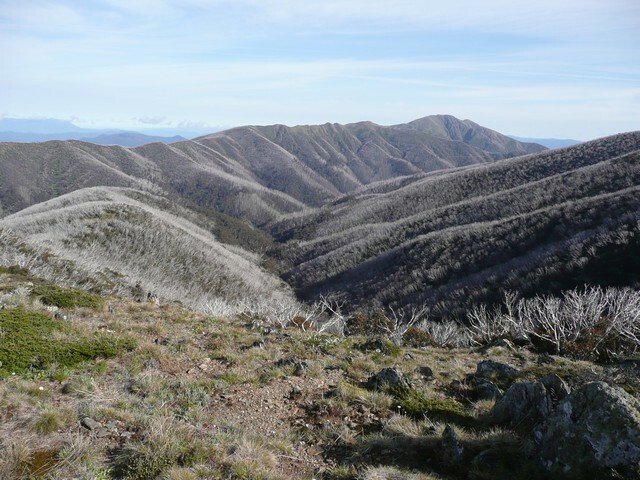 From here the trail thankfully levels out allowing energy to admire the incredible views across to Bogong High Plains and back to Mt Feathertop, all the while surrounded by the numerous wildflowers that abound at this time of year. We reach Derrick Hut and our campsite for the night, around mid-afternoon. 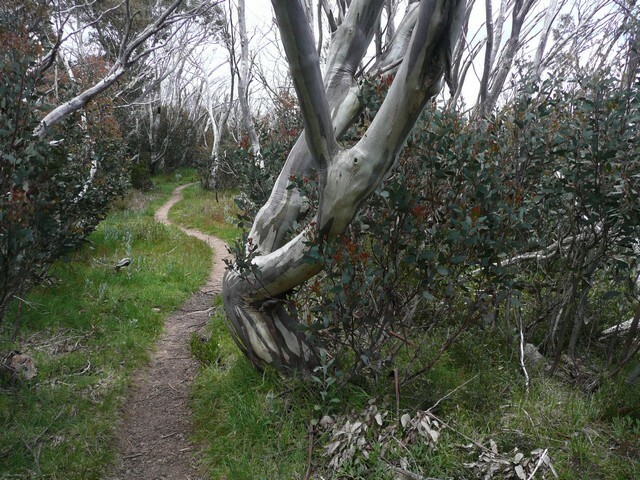 The trail between Dibbins Hut and Derrick Hut is part of the Australian Alps Walking Track (AAWT), a 655 klm walking trail from Walhalla in Victoria, through the Victorian Alps, to Tharwa in the ACT. 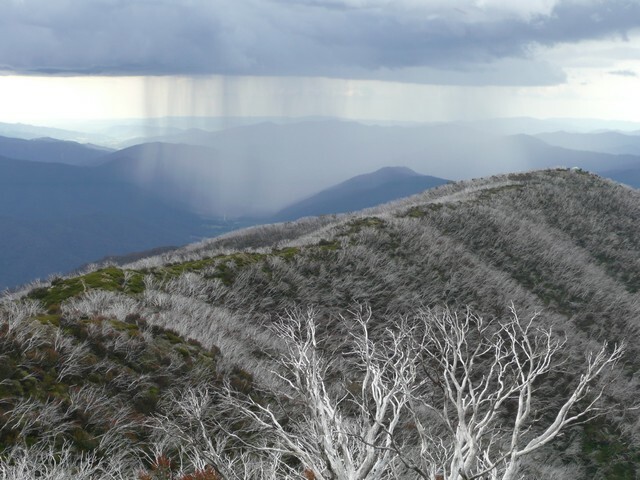 This walk showcases the best that the Australian Alps has to offer, traversing Australia’s highest peaks and ranges. Derrick Hut – named after Charles Derrick, who died here in 1965 while attempting a long distance cross-country ski – takes full advantage of its high location and breathtaking views. And with a reliable nearby spring and internal fireplace to keep the cold at bay, was more than happy to share our room for the night with the not so shy resident bush rat. The late evening sunset (approx 8.45pm) and virtual disappearance of the previous day’s relentless wind combines to present a perfect setting for some photos and my first real chance to relax and enjoy the mountain scenery. A short walk has us reaching the outlying ski run of Mt Hotham. 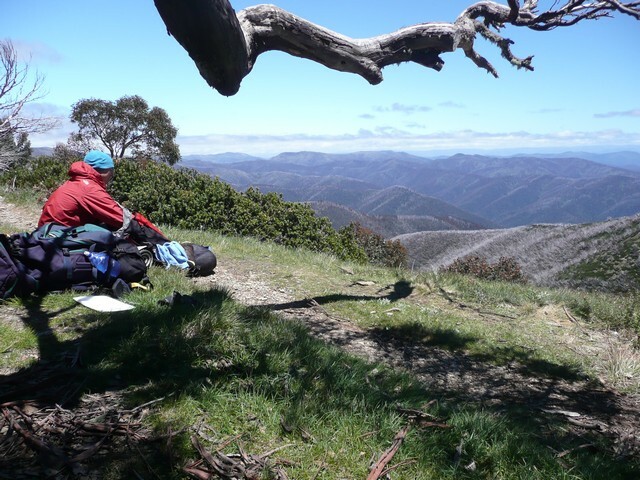 Before turning towards Mt Hotham village, we detour to Mt Loch which gives an excellent perspective of the 9 klm long Razorback Trail – one the most popular walks in the Australian Alps- in its entirety from Mt Hotham to Mt Feathertop. Its my first time to a ski resort – albeit out of season – and I’m probably providing some amusement to Andrew – himself a seasoned snow tripper – as I marvel at the chair lifts, slopes, signs, and snow making machines. We haven’t seen another soul for two days, and that barely changes as I wander into the village of Mt Hotham. The town was eerily quiet, emphasised with a hare running up the main street. Disappointed and bored with the inactivity in town, we continue on to the nearby Diamantina Hut which marks the commencement of the Razorback Trail. With the sun dominating the sky and little if any breeze, it’s a perfect afternoon to hike one of the highlights of this region. The Razorback is aptly named with the trail following a reasonably flat and narrow mountain ridge for its entire length, dropping away steeply on both sides. 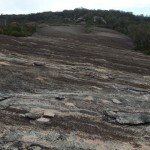 Aside from a section in the middle of the trail – a slight dip in the trail brings you below the treeline and amongst the snowgums – the views are unimpeded on both sides, continuing far beyond the ability of the naked eye. The end of The Razorback is our lunch stop from day one, just below Mt Feathertop summit and the nearby Federation Hut which was our intended campsite for the night. 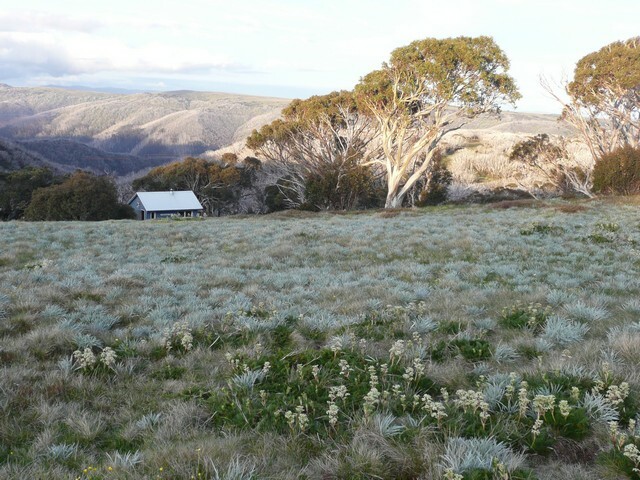 However with 3 large groups camped at Federation Hut, we opt to instead take our chances with the Melbourne University Mountaineering Club (MUMC) Hut some two kilometres further north. Andrew pushes on to the MUMC Hut having already ‘summited’ Mt Feathertop on the first day, but with a handful of daylight hours still remaining, I could not walk on without another attempt. At 1922 metres, Feathertop is Victoria’s 2nd highest peak (Mt Bogong 1986 metres). I sat alone on the peak for over an hour, 360 degree views of the surrounding Victorian Alps and incredibly, given the height and exposure, not a breath of wind! Sitting there marvelling at the mountain ranges, ridges, peaks and valleys stretched out before me in all directions; I felt like I was on top of the world. With darkness due in a little over two hours and the MUMC Hut some three kilometres distant, I reluctantly start my descent. Despite it’s rather bizarre appearance – a round hexagonal like metal structure as opposed to the traditional timber huts – its design, location and sheer efforts to construct are a credit to the MUMC. Again we find ourselves the sole occupants, strange given the nearby Federation Hut probably has more people in its vicinity tonight than the whole of Mt Hotham village. The threat of rain from the previous evening has dissipated during the night and the morning greets with brilliant sunshine and no wind and so for the first time we start the day with our fleeces tucked away in our packs. 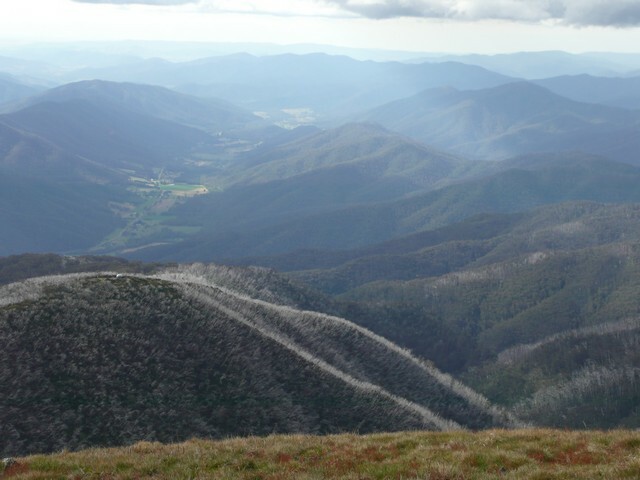 As we walk past Mt Feathertop and Federation Hut, I cherish my last opportunity to marvel at the views before the final long descent to Harrietville and promise to return again. Maybe The Razorback with its white winter coat; that would be nice. 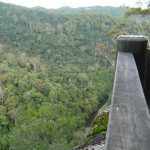 This entry was posted in Multi day hikes in Australia and New Zealand and tagged Australian Alps Walking Track, Blairs Hut, Bogong High Plains, Bungalow Spur Trail, Derrick Hut, Diamantina Hut, Diamantina Spur, Dibbins Hut, Federation Hut, Harrietville, Harrietville Caravan Park, hiking at Mt Feathertop, hiking at Mt Hotham, hiking in Victorian high country, Mt Feathertop, Mt Hotham, Mt Loch, MUMC Hut, Old Federation Hut, Swindlers Spur, The Razorback Trail, West Kiewa River by danthewanderer. Bookmark the permalink. What a lovely yarn mate, and a cracking walk in the hills! well done dan & very well told. I can’t believe you saw an echidna in the wild! very jealous.